FILL a small pan with water and a pinch of salt and bring to a boil. REMOVE the ends of the snow peas, COOK them for a few minutes and set them aside. 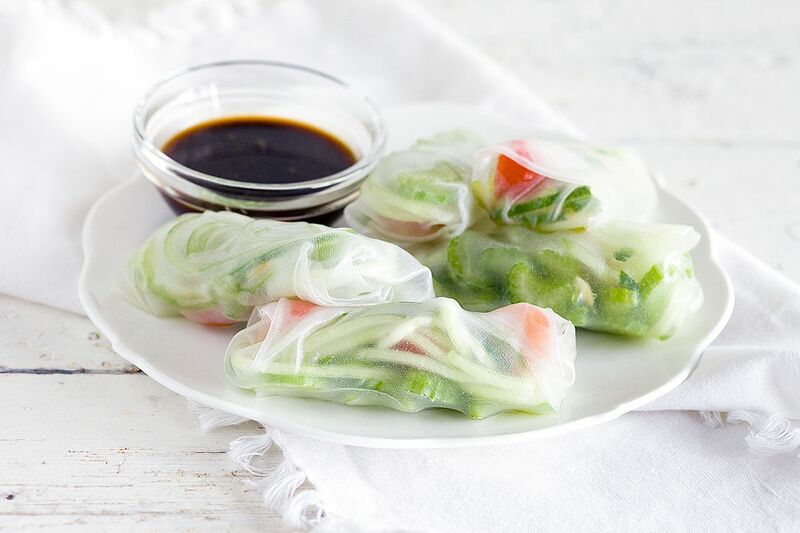 RINSE the celery stalks and chop into thin pieces, make sure all veggies aren’t too big cause that will make it hard to roll the rice wraps. Use a spiralizer to create cucumber spaghetti, but you can also chop it in any size you like. DIVIDE the small cherry tomatoes into halves or the larger ones into quarters. SEPERATE all the veggies in the medium-sized bowls. FILL a large bowl with cold water and soak the rice wrappers one at a time for a short time. PLACE the soaked rice wrapper in front of you and divide a bit of the every veggie in the middle, make sure you don’t use too much. 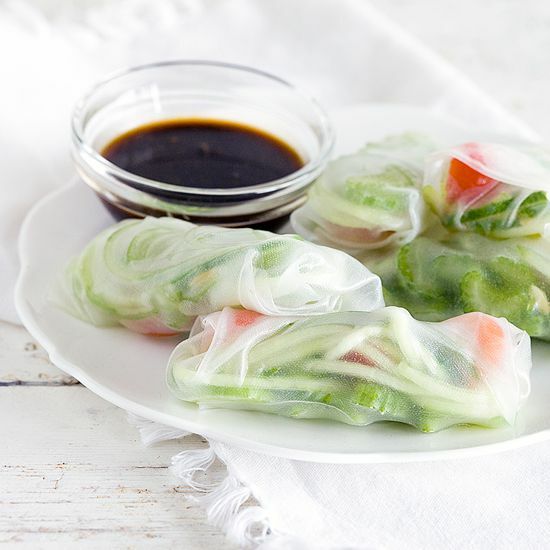 FOLD the sides inwards and roll the wrapper upwards to close the springroll. It will stick together easily because of the water. REPEAT until all the ingredients have been used. 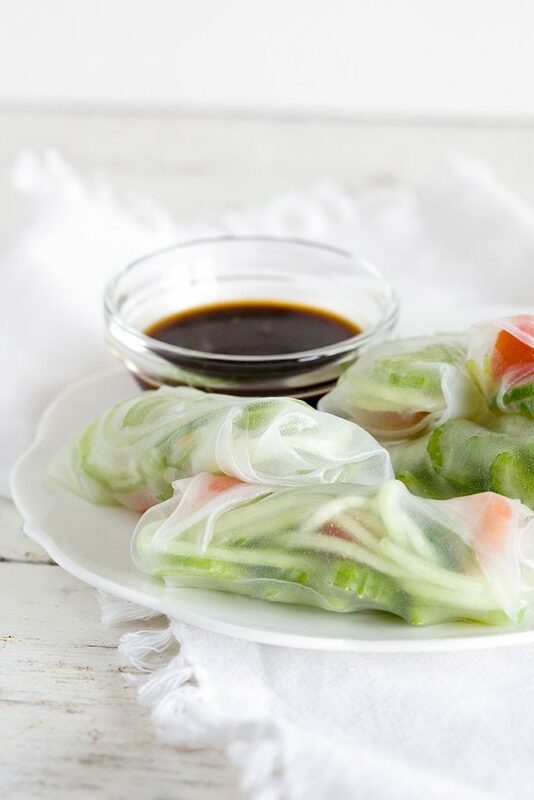 CREATE a simple sauce by combining the soy sauce with rice wine vinegar and a bit of wasabi paste to your liking. Enjoy!